The petition filed by former Defense Secretary Gotabaya Rajapaksa, seeking an injunction halting his arrest over the case against him for the alleged misappropriation of state funds to establish the D.A. Rajapaksa Memorial Museum, will be taken up again on November 02. The order was issued when the petition was taken up before a Court of Appeal judge bench consisting of Justices Preethi Padman Surasena and Arjuna Obeysekera today (17). 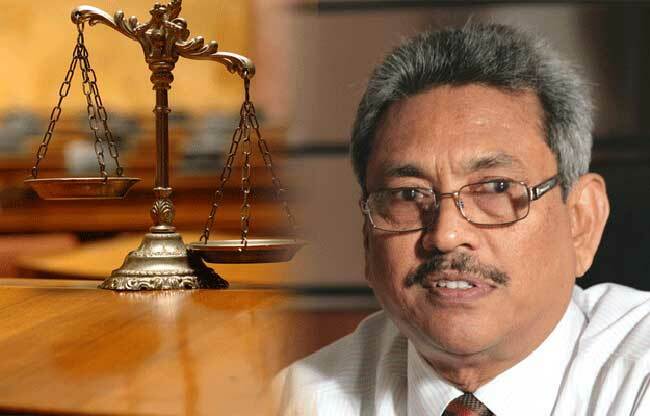 Representing Gotabaya Rajapaksa, President’s Counsel Romesh de Silva informed the court that proceeding with the hearing of the petition is unnecessary as the Court of Appeal has already issued a permanent injunction halting the arrest of his client. Hence, President’s Counsel Romesh de Silva requested the Court of Appeal to set a date to inform whether proceeding with the petition is necessary. Accepting the request of the President’s Counsel, the Appeals Court judge bench ordered to take up the petition again on November 02 and to inform the court regarding the necessity of proceeding with the hearing of the petition.